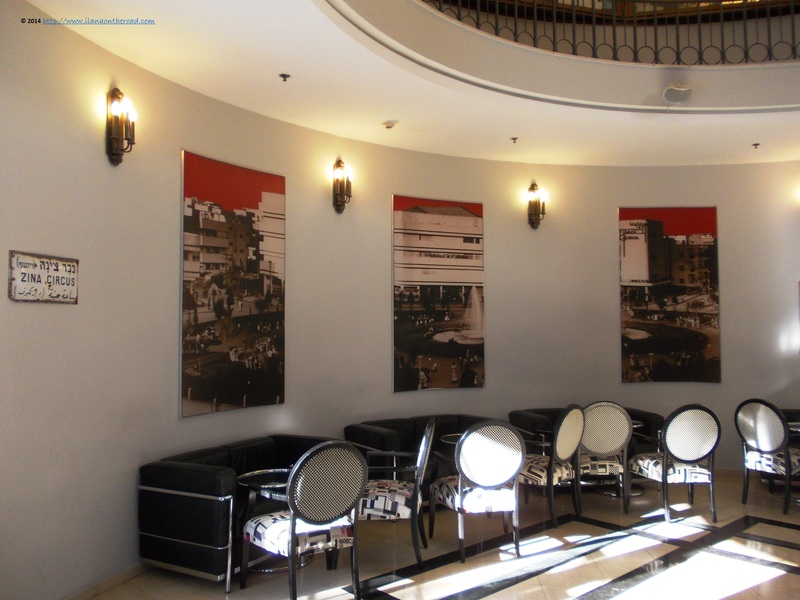 Tel Aviv has not only a very spectacular real estate, with impressive prices that may easily compete with Beverly Hills or Manhattan, but also went through an dramatic development of the hotel industry. The creative spirit of the people were able to adapt to new situations, giving new destinations to old buildins, while keeping the original spirit. 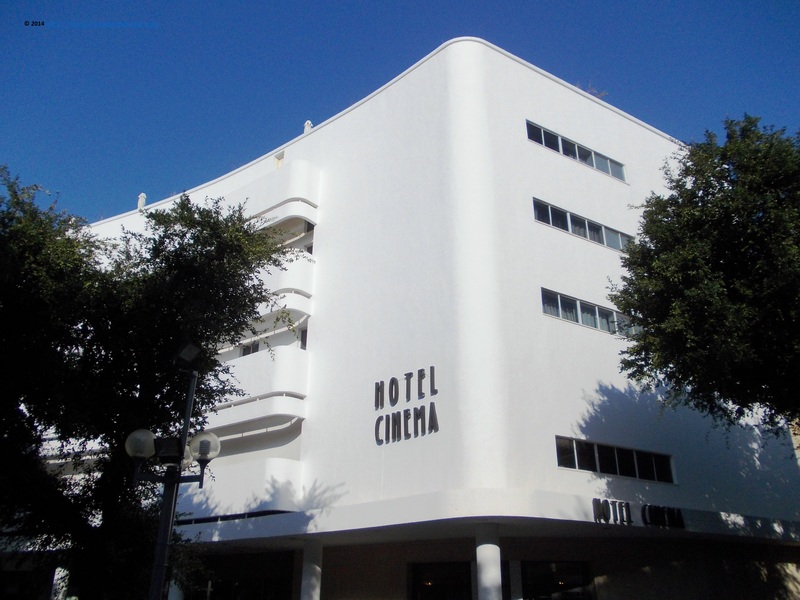 An example in this sense is Esther Cinema Hotel, hosted in a traditional Bauhaus building in Dizengoff Square. The cinema was inaugurated at the end of the 1930s, as the property of Moses and Esther Nathaniel both born in Aden that emigrated in 1924. 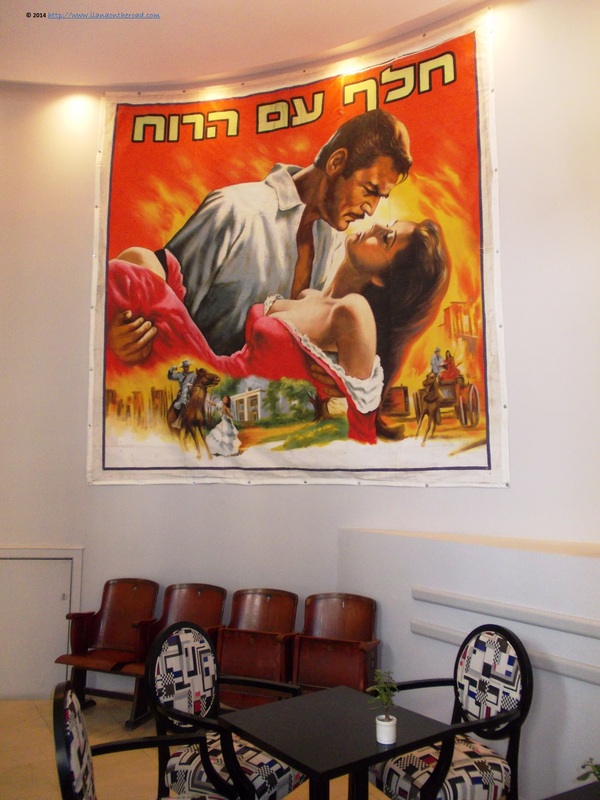 The cinema was considered as part of their contribution to the improvement of the cultural life in the country, and Esther Cinema succeeded to be a noteworthy institution, part of the Dizengoff Circus complex. Classical movies were displayed here, including top European and American productions. Provided with dernier cri technology brought from all over the world, it used to host around 1,000 people. At the beginning of the 1990s, the cinema went through serious financial problems and was soon purchased as part of the Atlas Hotels network. The original structure was kept, and the space was separated into 83 hotel rooms, with 2 new suites recently added. The rooms are provided with modern amenities, such as air condition, multi-channele cable TV, coffee and tea facilitis, safe, free wifi. It also has a business lounge and offers to the guests the possibility to use a nearby gym for a moderate fee. The location is perfect, as it provides access within minutes to the beaches, as well as to shopping avenues and many restaurants, some of them open all round the week and the year. When you enter the hotel lobby now, you may be tempted to go directly to the reception desk and ask what movies are in the program tonight. 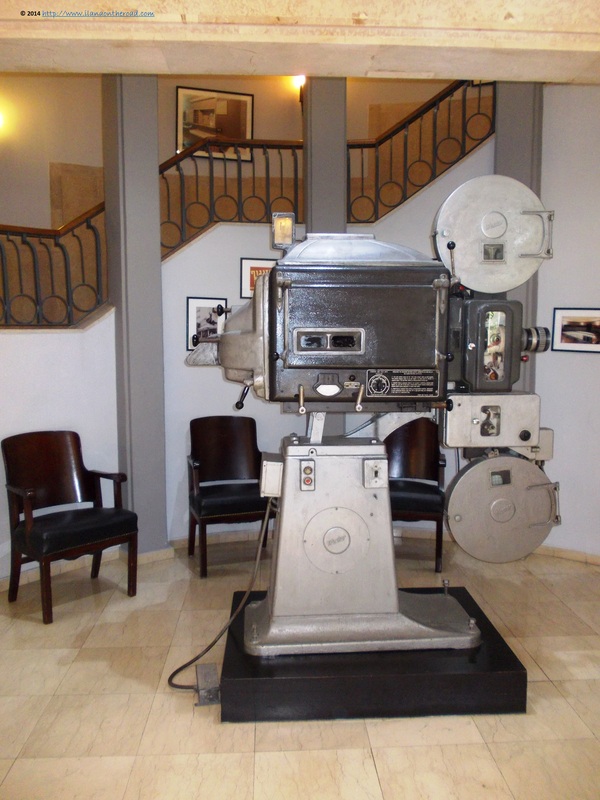 Original projectors and classical ads are displayed, as well as original chairs. Some of them were converted to the modern style, but keeping the furniture fashion typical for the Bauhaus design. Regularly, classical movies are projected in the lobby, with popcorn treats included. The rooms also do have a traditional touch, with ads and posters that may remember about the golden times of the cinema. 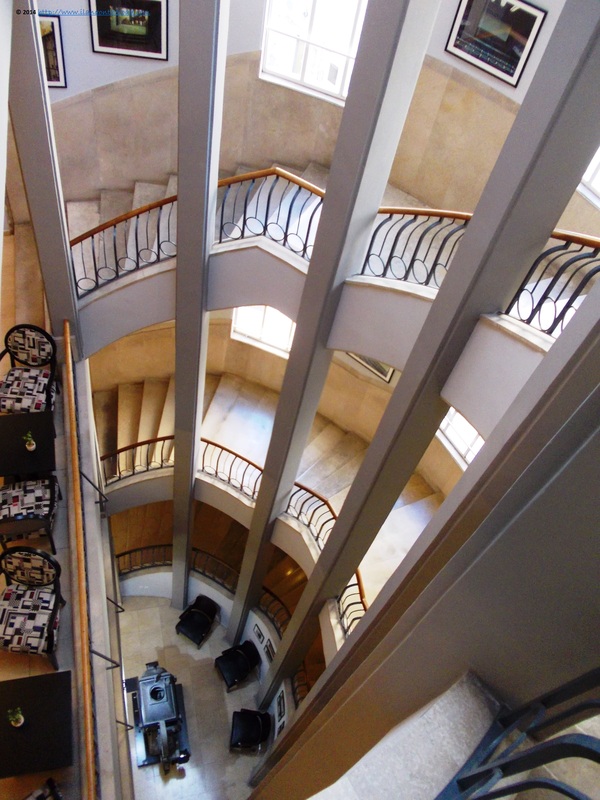 The monumental staircase is a trademark of the hotel and still looks as a work of architectural avantgarde. It radically separate with vertical lines the enormous interior space of the building, creating a deep perspective in the middle of the building, similar with the voids in the water during high storms. The stairs lead to a terrace on the upper level, from where one can admire not only the fancy Dizengoff Avenue with its expensive shops and glamorous restaurants, but also the dynamic city of Tel Aviv and its ports. In this modern network and spectacular life that seems to never rest, the cultural and historical legacy of Cinema Esther stays as a reminder of how far you can go if your mind aims for change.